For tons of properties around UNCW, check out our map page. Some of the cool community features residents will have are a swimming pool, basketball court, laundry facility, and a dog park for your pooch to play! On top of all that, you’ll be only minutes away from public transportation, shops, and restaurants. Sweyer Property Management has risen to be one of Wilmington’s top property management companies. They have been in the biz for over 30 years and have over 1,500 properties to choose from! Whether it be a single family home, condo, townhouse, or apartment the folks over at Sweyer Property Management can help you find the best fit for you! Bridget says, “I am so very impressed with this management company, we have almost been in our rental for a year now and we have never had an issue with getting a service that needed to be taken care of. Each vendor that has been sent out to our home has been top notch and a pleasure to work with. 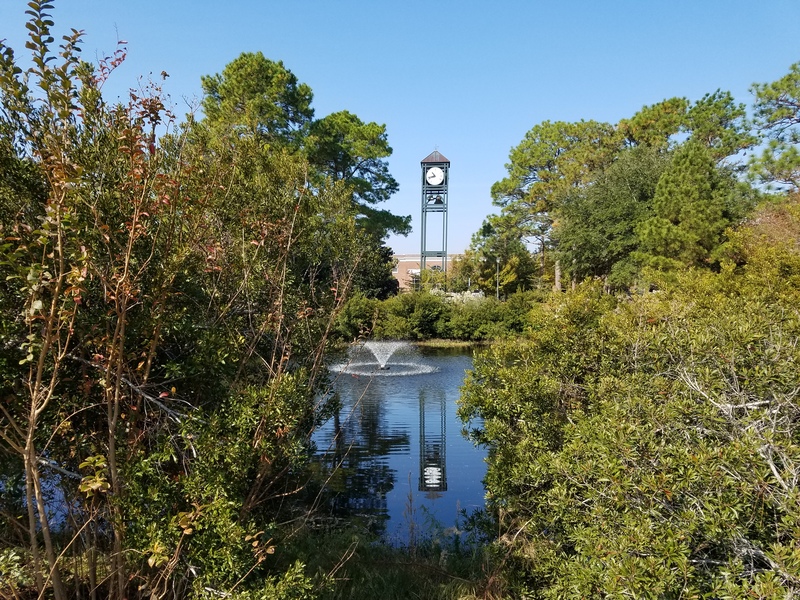 Without hesitation, I recommend Sweyer Property.” Several of the properties are also near the UNCW campus or right along the bus route making getting to classes a breeze! Take off-campus student living to new heights at the Elevation Apartments! Students will have one, two, or three-bedroom floorplans to choose from. If you need a roommate, they have your back and will set you up with someone that shares the same interests as you, and don’t worry! You’re only responsible for your individual lease so if your roommate can’t cough up enough dough for rent it’s on them, not you. Less than a half mile away from UNCW is top rated apartment community Hawthorne Commons. Karina say, “I have lived here for almost a year and a half and I love it here! The office staff is amazing and always willing to answer any questions you may have. They have made great improvements to the complex and are continuing to do so.” Some of the great new features added to the community were brand new updates to their one and two-bedroom loft-style apartments, laundry lounge with free TV and Wi-Fi, picnic pavilion, saltwater pool with sundeck, and a 24/7 fitness center. Sister community to one of our other top picks, Hawthorne Commons, is Hawthorne Lofts South. “The staff is extremely nice and professional. Maintenance requests are handled in a timely manner. Landscaping is kept up on a regular basis. Amenities are great! It is a very pet-friendly community. Apartments are in good shape and kept up nicely,” boasts one resident. Some of the great amenities this community offers is a business center with printing, poolside grills, swimming pool, and a complimentary coffee and snack bar to help fuel you through your studies (or feed broke college kids). They even added a new Bark Park with agility equipment for your furbabies. Another resident said, “I feel safe here and really enjoy the privacy that the neighborhood provides. There are many convenient bus stops that allow me to travel to and from school. Numerous shopping centers and businesses are just minutes away, but the apartments are secluded from all of the hustle and bustle, providing a quiet environment.” Nothing beats convenience and comfort! Centrally located between Downtown Wilmington and the UNCW campus are the Avalon Apartment Homes. Residents can pick between one, two, and three-bedroom units that come along with a ton of community amenities like a tennis court, game room, pet run and wash area, and a community garden, and that’s not even the half of what Avalon offers! Anthony says, “ Avalon Apartments are by far the best in the area. The close proximity to the beach and downtown area are great, along with Sports and Courts right next door. The pool is a great place to be, with everyone coming down to hang out in the warmer months of the year. There is always something to do or someone to meet. Any questions or concerns I have are handled immediately by the staff and they are always professional. I truly enjoy living here and recommend it to anybody looking for an apartment in Wilmington,” and James says Avalon, “Hands down one of the best complexes in Wilmington.” So what are you waiting for? Go see for yourself! Some of the wonderful amenities included are a dog park, fitness center, DVD library, laundry facility, and a tennis court. Aaron says, “The staff is very friendly and helpful. If anything, the noise level is remarkably low. It’s clean, well-maintained, and in excellent proximity to all things Wilmington in all direction,” all you need to do it hop on a bus and you can get anywhere in no time! Location! Location! Location! Live in off-campus style at the upscale Lighthouse Student Living apartments. These apartments are only two blocks away from the UNC-W campus, so hit that snooze button one more time in the morning. Students can soak up the sun at the resort-style pool or in one of the tanning beds on-site. Chill outside in the hammock lounge or by the firepit Invite friends over and shoot some pool or catch a movie at the movie theater. There’s no need to go to campus because you can use the private study rooms. Lighthouse is on the UNCW bus route but if you do bring your car along you get free parking. How does a cyber cafe with coffee bar, a two-story clubhouse, a resort-style pool with cabanas, and a concierge service sound? Well, all this and more can be yours at Headwaters at Autumn Hall. When I say more I mean more like a business center, walking trails, bocce court, fitness center, outdoor parks, and that still isn’t even all the great amenities Headwaters has to offer their residents. Last on our list, but certainly not least, is Still Meadow Village. Residents can choose between one, two, and three-bedroom units that come with all kitchen appliances, fireplaces, and the popular screened in porches. Still Meadow Village is a quick commute to the UNCW campus and you’ll also be close to downtown and Wrightsville Beach. All residents will have access to the great community features like a swimming pool, tennis courts, fitness trail, and picnic shelters. 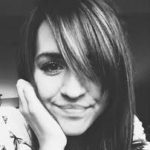 Callie Kollenbroich has been the Operations Coordinator and Content Writer/Editor at Rent College Pads since 2015. When she’s not working, you can find her at home, eating peanut butter out of the jar and bingeing an unhealthy amount of Forensic Files. She’s not as lame as she sounds.